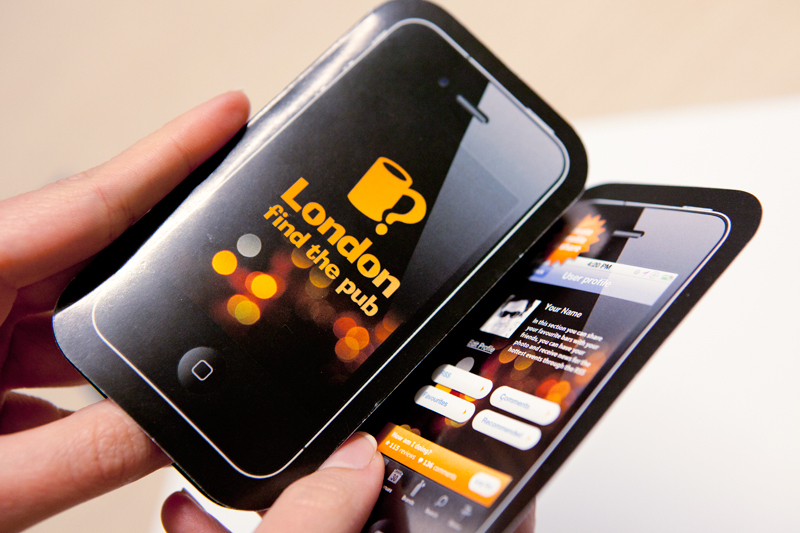 We have developed different projects for London Find the Pub iphone app – logo, app design, iphone icons, multimedia. This is our flyer design for the promotional flyer. 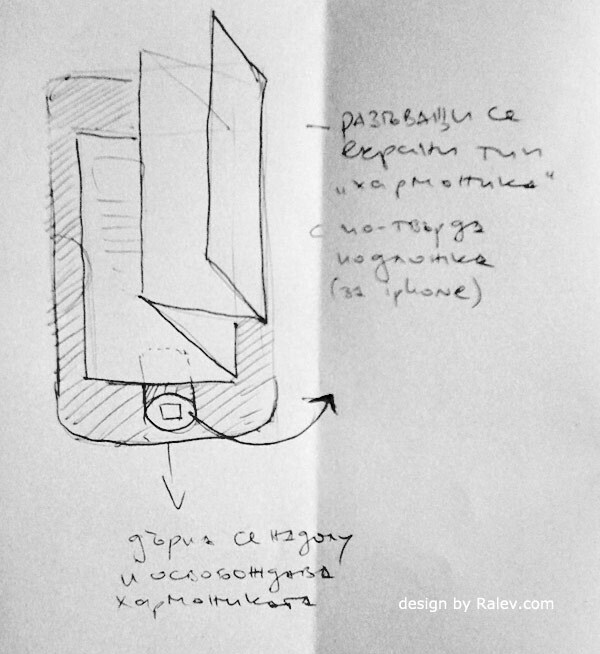 The concept was to make the flyer look like you are holding a real iphone in your hands so we took the iphone dimensions to design the die line. 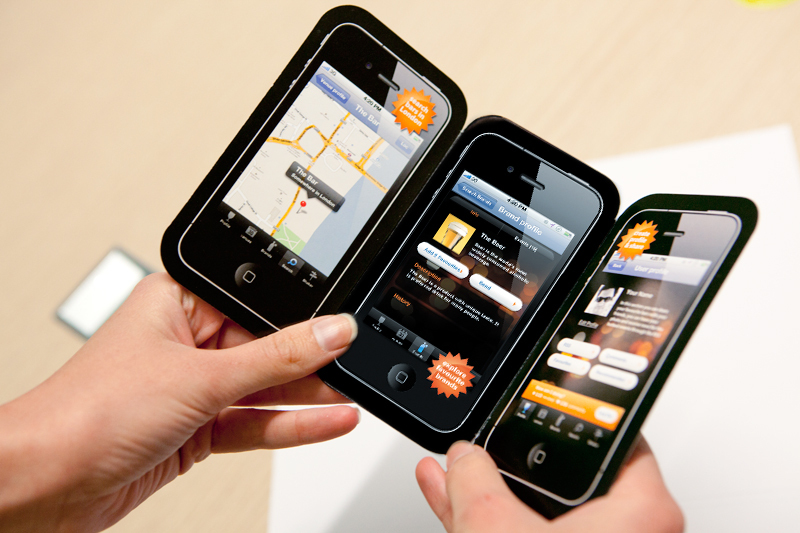 The iphone inside is real size and the flyer itself is a little bigger. 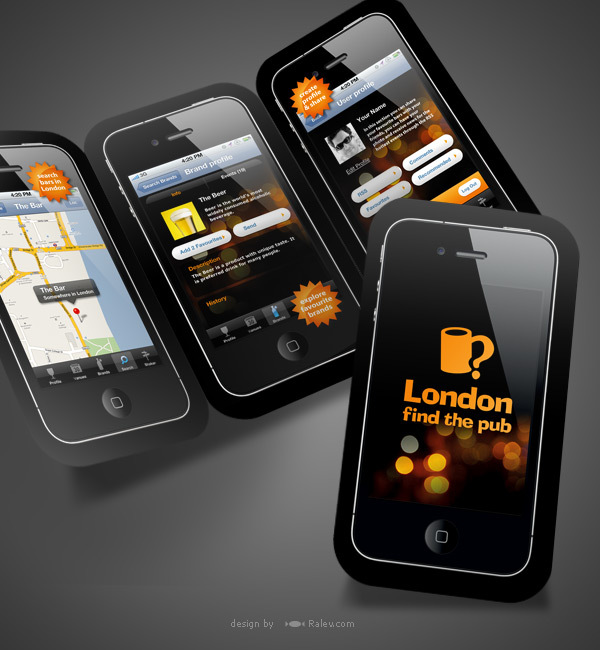 Inside the flyer we placed different screens presenting the main functions of the app. It is full color print on 300 g matt paper. 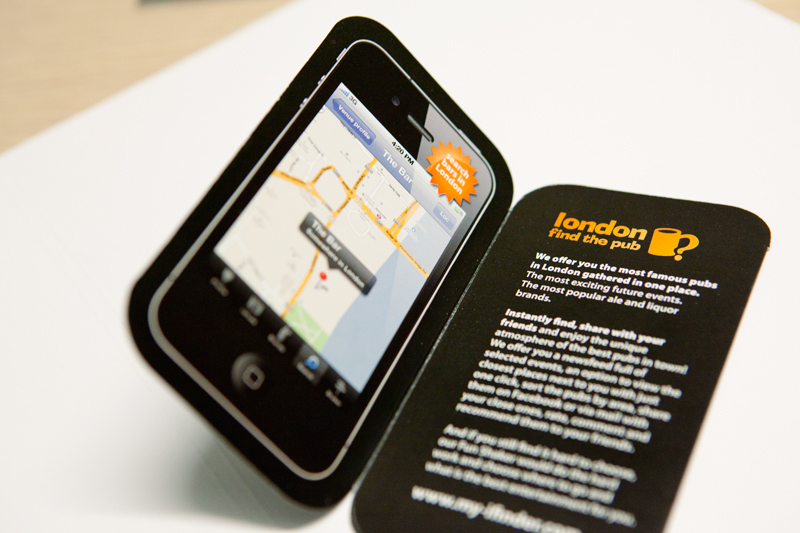 The flyer was distributed in 2010 in London. This was the initial concept for the flyer design with far more complicated die-cut. The ON button was meant to allow you to open and actually look inside. Due to short production deadlines and higher production pricing we did the other version.